Born in Ontario in 1856, he received a medical degree from McGill University (Montreal) in 1881. He spent a year as House Surgeon at the hospital in Denver, Colorado. He came to Portage la Prairie in 1882 where he practiced medicine for a year then went to England to work. 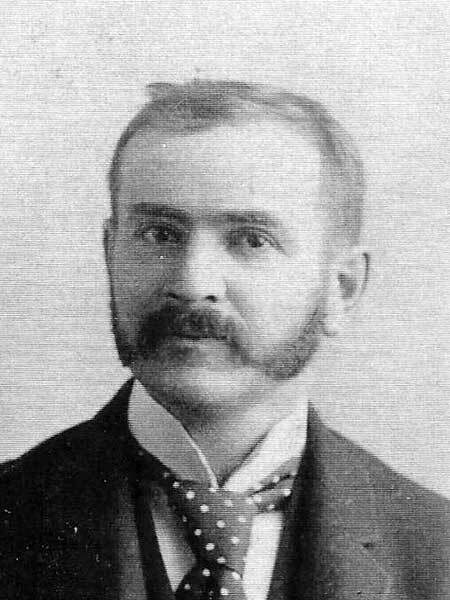 In 1883, he returned to Winnipeg and demonstrated Anatomy at the Manitoba Medical College (as of 1887) and served on the staff of the Winnipeg General Hospital (as of 1889). He was medical examiner for Sun Life and was appointed physician to the Hudson’s Bay Company shortly before his death. On 10 April 1889, he married Annie Frances Harward Eastman (1866-1941, a sister-in-law of G. W. Baker and B. E. Chaffey). They had one daughter: Edwina Gertrude Higginson (1894-1984, wife of Charles Allen Snowdon). The family lived on Donald Street. He was a good friend of physician Henry H. Chown and Henry A. H. Baker was named in his honour. He died at Winnipeg on 20 June 1895 of diptheria, contracted when a young patient he was treating coughed in his face. He was buried in the St. John’s Cathedral Cemetery. “Death of Dr. Higginson,” Manitoba Free Press, 21 June 1895, page 6. We thank Bruce Varcoe for providing information used here.